When the time comes to build or expand your home, we can clear the trees to make the space for your dream home, deck or other project. 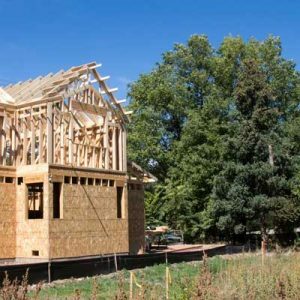 Is it time to build your dream home or the addition you’ve been planning? As a Certified Arborist, Mark from Mark’s Tree Care can assess the health of the trees on your build site and help you refine your site selection. When the choice is made, Mark’s Tree Care can safely and completely remove the right trees to make room for your new home, addition, deck, garage or other project. You can save the best and clear away the rest. A tree lined driveway is beautiful, especially when the trees are well trimmed and clear of the drive. We provide services to completely clear and remove trees for new driveways and fences. As well as to maintain the health of remaining trees. Mark’s Tree Care has the resources, skill, and experience to clear multiple acre sites for new development. As a fully insured, and licensed tree care service you are assured reduced risk of complications. Clear it all – Need everything gone? Mark’s Tree Care can handle it. With more than 30 years of experience in the safe removal of trees, you know the job will be done right. 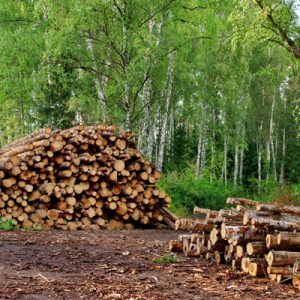 With the right equipment and resources you can count on complete removal and disposal of all wood, branches and debris. When the job is done, your site will be ready to go. Selective Lot Clearing – Mature, healthy trees have considerable value. In some situations it makes sense to preserve high value trees as a means of boosting your property value. Our Certified Arborist can identify high value trees for retention in housing oriented projects, allowing increased value for the finished properties. Locally owned by Mark Ingham a Certified Arborist with over 30 years of experience. As an insured and licensed full service tree care service, Mark's Tree Care ensures the job is done right.